7 WOMEN. 7 STORIES OF UNITY. 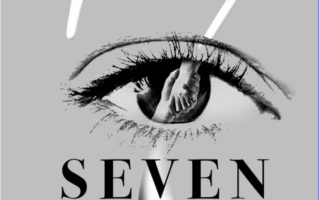 To raise awareness and prevent violence, Moving Forward Productions, in collaboration with the YWCA and its Foundation, will present the great Montreal premiere of SEVEN, directed by Jen Viens, on March 9, 10 and 11 at 8 pm in the YWCA Holden-Fisher Hall, located at 1355, René-Lévesque Blvd West in Montreal. 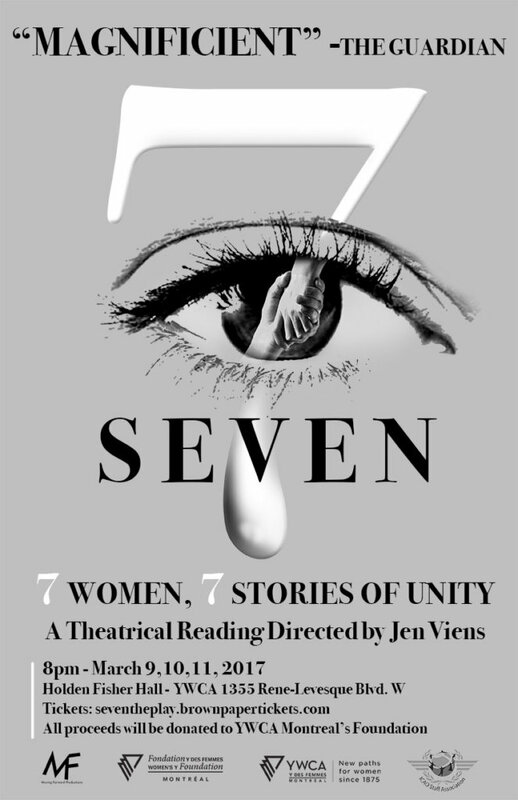 SEVEN tells the true stories of seven remarkable women who risked threats to their own lives to fight for the well-being of women, families, and children around the globe. Their defense of human rights includes rescuing girls from human traffickers in Cambodia; protecting women from domestic violence in Russia; empowering rural women in Afghanistan; and promoting peace and equality in Northern Ireland. Men’s voices, which are part of the solution that will end all forms of violence against women and girls, are included in this version of SEVEN. In addition to the presence of Sue Montgomery on March 11th, there will be a talkback and Q&A following the final performance, with representatives from various community organizations who will be on hand to answer questions from the audience. Journalist Sue Montgomery received a 2016 Women of Distinction Award in the Communications category, awarded by the Women’s Y Foundation. You can buy tickets online at the cost of $20. All proceeds from the performances will be donated to the Foundation to finance YWCA Montreal programs and services. For more information ont the play, visit the Facebook page of the event or read the press realease.